The Vegan Mouse: Beets n Hummus. Warm a pita. Spread hummus on it. Top with spinach, sliced or shredded beets, avocado, a squeeze of lemon juice, a drizzle of olive oil and sprinkle of salt and pepper. So good! 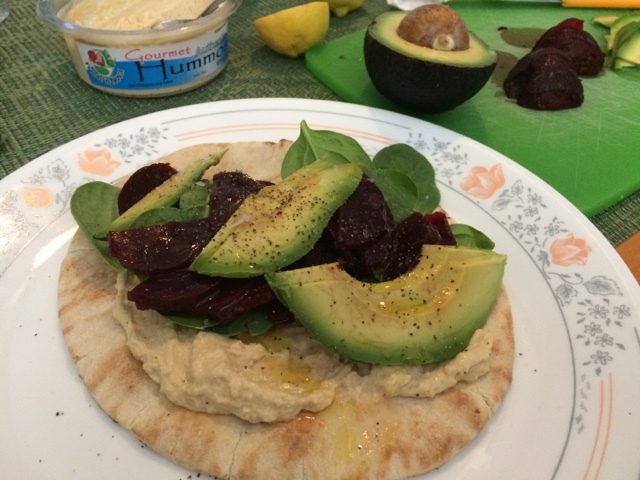 One of my favourite combinations: beet and hummus. Beautiful. No new food pics today.